At Saucony we exist for runners. You inspire us, keep us innovative, and force us to be better in everything we do. Runners come from many backgrounds and have different goals, but at some point were all inspired by someone to embark on their own journey as a runner. Saucony wants to support those who motivate and inspire, and will host two ambassador programs in 2015. Hurricane program – High level competitive athletes (50), inspiring through their performances. 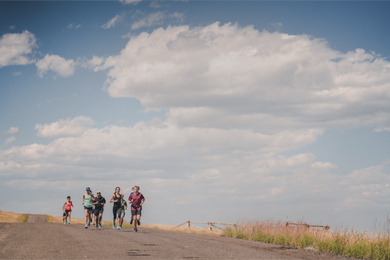 *NEW* Zealot program – Run specialty employees (50), through product knowledge and dedicated service, inspire runners every day. Click on the link below to learn more about the qualification standards and benefits of each program, and to apply today!